We love to teach and we love to dance! Our mission is to provide a positive learning atmosphere. 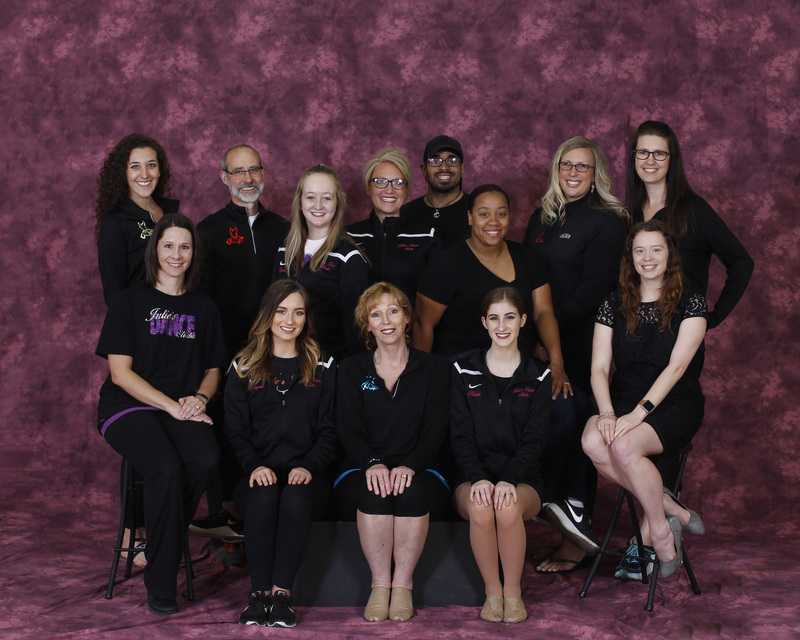 Combined with a dedicated and caring staff whose passion is dance, we are committed to enhancing self-esteem and confidence, and teaching grace and posture with an enthusiastic spirit. Since beginning in 1985, Julie’s Dance Studio has engaged young students as well as adults, in creative expression through dance. Our fun and positive atmosphere, along with a wide variety of classes, are just a couple of reasons why Julie’s Dance Studio is so popular. 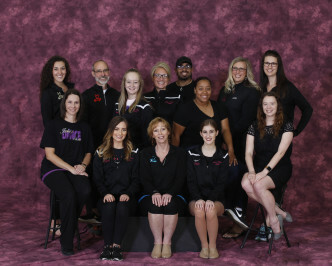 Julie’s Dance Studio, Ltd., is exceptionally proud of our faculty and staff. We recruit and employ like-minded people who love what they do! We love to teach! We believe this is our mission and we do our very best for each and every dancer. Miss Julie is celebrating her 50th year in dance and 31st year as DOD of Julie’s Dance Studio, Ltd. Miss Julie continues her study through continuing education seminars, conventions, conferences and classes throughout the United States. Ballet is the foundation from which all dance is formed and Miss Julie is a ballet based teacher receiving her education from famed principle dancer with the New York City Ballet Company, teacher, author and choreographer ‘Miss’ Gail Grant. Other teachers in ballet, tap and jazz have included: Al Gilbert, George Zoritch, Rhoni Mahler, Frank Hatchett, Luigi and many others. In 2011, Miss Julie began studying with the Royal Academy of Dance which is one of the world’s largest and most influential dance education, teacher training organizations with over 13, 000 members in 79 countries. In 2013 she began a comprehensive teacher training program for dance teachers K-12 who teach multiple disciplines from the University of Nevada Las Vegas. Along with studies in tap, jazz, classical ballet, contemporary ballet and lyrical, training in anatomy for dancers including prevention of injury and proper cross training and body conditional methods are included in the curriculum which will conclude in 2015. Miss Julie was formerly on the staff of Bowling Green State University, Northwest State College, Becky’s School of Dance and Vivienne’s Dance Studio. She has been a guest teacher at studios, colleges and gives all types of dance and dance related classes to area organizations, businesses, gymnastic clubs and ice skating clubs. She is a member of the Cecchitti Council of America since 1968, Professional Dance Teachers Association, Dance Educators of America, National Association of Performing Arts Educators, Ohio Dance Organization, Lifetime Achievement member of Cambridge Who’s Who Among Women Executives and Professionals and The DesignWorks Costume Advisory Board. Miss Julie’s students have toured nationally with Hoctor’s Dance Caravan, Royal Caribbean and Norwegian cruise lines, performed in New York City’s historic Manhattan Theatre in “The Nutcracker on Broadway”, performed at Disney’s Magic Kingdom, Capital One All American Half Time Show and served as host for master classes with the Radio City Rockettes, LA’s Paul “Vision” Lee, Stephen “Twitch” Boss, Nathan Trasoras dancers from Wicked, Legally Blonde, A Chorus Line, Beauty and the Beast, and many others. Miss Julie’s students are invited each year to perform in the Macy’s Thanksgiving Day Parade, Cleveland Cavaliers, All American halftime show, Disney, Kings Island, Cedar Point and many other opportunities throughout the nation. Miss Sara is celebrating her 29th year involved in dance with JDS and is entering her 15th year teaching. Miss Sara has done an extraordinary job as our Backstage Director for Star-Style for the past 19 years, and has been an invaluable presence in the studio. Miss Sara is an accomplished craftsman and is employed at Wood County Hospital. Miss Sara and husband Bill are the proud parents of 2 daughters, Adyson and Prestyn. Ms Andrea has been teaching with JDS for seven years and is celebrating her 27th year in dance. She specializes in Hip Hop and Acro-tumbling although she is educated in ballet, tap, jazz, pointe, production, lyrical, and competitive gymnastics as well. Ms Andrea and her husband Greg reside in Findlay where she has been employed with LaRiche Toyota for the past 12 years. They are the proud parents of two daughters, Madison and Mckinley. Ms Heather is an invaluable resource in our studio. Ms. Heather is our “Go To” person whenever there is a question. Ms. Heather and her husband, JD reside in Bowling Green. They are proud parents of three children; Ethan, Ragan and Corinne. Ms. Dolores is a Cecchetti-based ballet teacher with training in Spanish dancing, tap, modern, square/folk and ballroom. Dolores has taught private group classes from the elementary through the university level and has also participated in ballroom and contra dancing in exhibitions and competitions. Choreographic works have included: Brigadoon, Oklahoma, My Fair Lady, Stop the World I Want to Get Off, Ernest in Love, She Loves Me, Little Mary Sunshine, Peter Gunn and many others. Dolores was also the Director for Orchesis, which is BGSU’s modern dance club. Mr. Tim is entering his second year teaching at JDS. He specializes in modern contemporary and ballet, but also is skilled in jazz, ballroom, and lyrical. Mr. Tim graduated from BGSU in May of 2014 and has danced previously in productions with the Dayton Opera and Dayton Contemporary Dance Company. Since then he has branched out to dancing in the community and with JDS. In addition to teaching at JDS, he has been involved with BG’s Dancing with the Stars and more recently Horizon Youth Theatre. Miss Ashanti joined the JDS family 3 years ago, she’s a senior at BGSU. Ashanti has been dancing for 16 years. She has experience in tap but she is trained in acro and hip-hop. Ashanti uses dance as a tool to not only build confidence and creativity but inspire dancers of tomorrow. Since the age of two Miss Jayme has been practicing dance with Julie’s dance studio. She will be entering her sophomore year at Bowling Green State University studying communication disorders. She is also on the school’s dance team and is involved in an organization on campus called University Dance Alliance where students choreograph and have semester performances. Miss Jayme has experience in many styles including jazz, tap, ballet, pointe, hip-hop, contemporary, and world dance. Jayme started off aiding classes but now teaches ballet, jazz, and lyrical at the studio. Mr. Rick has been drumming for ten years and is entering his third year teaching at JDS. He specializes in Middle Eastern drums and rhythms, but he includes Afro-Caribbean, West African, Indian, and Latin instruments and rhythms in his classes. Mr. Rick is an Associate Professor of Education at BGSU and lives in Bowling Green with his wife, Susan, and daughter, Emily. At age 2 Miss Stephanie began as a student at JDS. Through her years she has taken numerous dance styles including: ballet, tap, jazz, lyrical, pointe, hip-hop, contemporary, world dance, and modern. Stephanie assisted with classes for many years before she started teaching. She enjoys teaching ballet, tap and jazz. 2018 graduate of BGCS, now attending Ball State University Department of Theatre and Dance at attain a Bachelor of Fine Art in Dance. Sara joined JDS in 2018, with over 18 years dance experience. She assisted with classes for 13 years at James Dance and Performing Arts Center in Warren, OH. She’s a graduate from BGSU where she earned her art education major. Miss Andrews has learned and taught may forms of dance: ballet, pointe, tap, jazz, hip-hop, lyrical, acrobatics, pom and baton. Miss Andrews is also an elementary art teacher in the Springfield Local School District and a Handimals artist at the Toledo Zoo! Krista has 16 years dance training with JDS. 2018 graduate of BGCS, Krista is heading to Oklahoma City University’s American Dance & Entertainment School (ranked #1 in the Nation) to attain her Bachelor of Performing Arts in Dance Performance. Interested in teaching for us? We’re always on the lookout for passionate, energetic and experienced teachers to join our rock star faculty. If you’re interested in teaching please email us your resume detailing your experience. We’d also love to hear from you in at least 250 words why you would like to join our inspiring team of teachers. We look forward to hearing from you!